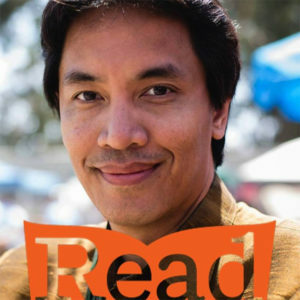 Bryan Thao Worra is a Lao-American writer. He holds over 20 awards for his poetry and community leadership, including an NEA Fellowship in Literature. He is the author of 6 books with writing appearing in over 100 international publications in Australia, Canada, England, Scotland, Germany, France, Singapore, China, Korea, Chile, Pakistan, and across the US. He is the Creative Works Editor of the Journal on Southeast Asian American Education and Advancement. 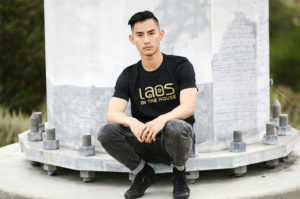 His work is on display at the Smithsonian’s national traveling exhibit “I Want the Wide American Earth: An Asian Pacific American Story.” In 2012, he was selected to be a Cultural Olympian during the London Summer Games representing Laos. His 2013 book DEMONSTRA was selected as Book of the Year by the Science Fiction Poetry Association. 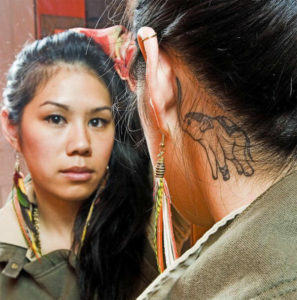 Catzie Vilayphonh is an award-winning spoken word poet and writer. As a founding member of the group Yellow Rage she was one of the first Asian American females to appear on HBO’s Def Poetry Jam. Through her work, she provides an awareness not often heard, drawing from personal narrative. In 2013 she received the Knight Foundation Arts Challenge Award to start “Laos In The House” a project which aims to promote story-telling in the Lao American community through the mediums of art. This culminated into the curation of a multi-discipilinary gallery exhibit and performance showcase featuring work by other Lao American artists which debuted in Philadelphia this past year in 2015. Currently she is an Artist in Residence with the Mural Arts of Philadelphia’s Southeast by Southeast Program. Throughout her artistic career Catzie has become a Pennsylvania Council on the Arts Award recipient, a 2012 Creative Capital finalist and a 4-time Leeway Foundation honoree. She is a co-founding chair of the Lao American Writer Summit and an active volunteer with the Lao Family Community Organization of Philadelphia. A child of refugees, Catzie was born in camp, on the way to America and thus considers herself part of the “.5 Generation”. She resides in South Philly, PA with her daughter Aditi, who was born on April 14th and thus considers her a Lao New Year princess. Chanida Phaengdara Potter is a Lao American development nonprofiteer. Chanida is the founding editor-in-chief of Little Laos on the Prairie and executive director of The SEAD Project. Born in Viengxai, Laos; Chanida’s home is both in Minneapolis and Vientiane. Chanida has worked 10+ years in the nonprofit field on public affairs, community development, and advocacy. Chanida holds a BA in Global Studies and Communications from University of Minnesota and a MS in Public Administration from Hamline University. Chanida has been featured on Twin Cities Daily Planet, Asian American Press, The Uptake, Minnesota Public Radio, Star Tribune, Pioneer Press, and Voice of America. She currently serves on the board for the Twin Cities Media Alliance. 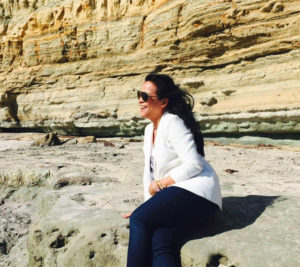 Chanida’s interests are in the Southeast Asian diaspora, sustainable development, and of course, beautiful Laos. Chantala Kommanivanh is a high energy and engaged emerging Laotian American artist. 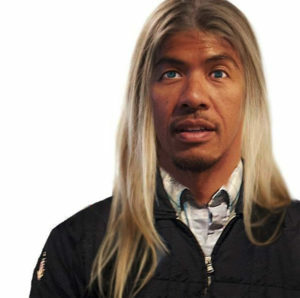 He is both a visual artist and has an active role as one half of the dynamic hip-hop duo “Maintenance Crew” with whom he has released 4 full-length albums. The rap music and the visual work have areas of overlap in terms of their meaning and content. His work has been displayed in four solo exhibitions in the Chicago area galleries and has been included in numerous group and invitational exhibitions in the U.S. He received his Master of Fine Art at UW-Milwaukee Peck School of the Arts in 2014 emphasizing in painting and drawing. Throughout his career Chantala achieved numerous awards such as the Union League Civic Arts foundation award and a two-time A.O.P Fellowship award recipient. Chantala Kommanivanh currently lives and works in Chicago as a practicing visual artist and a professor of the arts at Northeastern Illinois University. Channapha Khamvongsa is executive director of Legacies of War, an organization which seeks to address the problem of unexploded cluster bombs in Laos, to provide space for healing the wounds of war and to create greater hope for a future of peace. Previously, she worked at the Ford Foundation and Public Interest Projects, focusing on immigrant and refugee rights, global civil society, civic engagement, capacity building and transformational leadership. She was born in Vientiane and came to the U.S. at the age of seven. Ms. Khamvongsa has studied at George Mason University and Oxford University. She received her Master’s Degree in Public Policy from Georgetown University. Krysada Phounsiri is a Lao American who was born in Huay Xai, Laos. He immigrated to the U.S. at age two where he lived in Southeast San Diego. He began writing poetry at age 11, but fell in love with poetry when he attended UC Berkeley. He is a Physics/Astrophysics double major, with a minor in Creative Writing. He is a professional dancer who has competed and performed internationally. He is also an avid photographer. His work has appeared previously in publications such as the Journal of Southeast Asian American Education and Advancement and the Smithsonian Asian Pacific American Center’s national photo project “A Day In the Life of Asian America”. His recent series “Beauty Beyond Scars” is featured in various blogs. He debuted his first book of poetry in April 2015, titled “Dance Among Elephants”. The book is a poetic journey of identity, family, homeland, love, and dance. Leslie Chanthaphasouk is an educator, community advocate, and a contributing writer for Little Laos on the Prairie. 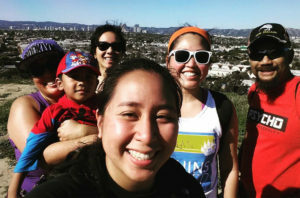 She was born and raised in Southern California, and became involved in the Lao community in college after realizing the lack of Lao American representation at her university. An avid traveler, Leslie visited Laos for the first time in 2009, and in 2011 received a 10-month Fulbright grant to teach English at the National University of Laos. Her writing explores the ever-changing Lao/Lao American identity, influenced in part by her experiences as a Lao American in the United States and abroad. Ova Saopeng is an actor, teaching artist and associate artistic director with Los Angeles based TeAda Productions. Born in Savannakhet, Laos, and raised in Hawaii he is a University of Southern California graduate with a B.A. in Theater. He recently performed in TeAda Productions world premiere of Global Taxi Driver at Intermedia Arts in Minneapolis. He is co-creator of RefugeeNation the only nationally touring play about the Lao-American experience. The critically acclaimed play Refugee Nation received numerous awards including MAP Fund, National Performance Network’s Creation Fund, and California Council For the Humanities and a “GO!” review in the 2012 LA Weekly. Ova has held many roles as performer, teaching artists and producer on various TeAda works Kalo Projects, Native Immigrant, TeAdaWorks, Delicious Reality and Pop-Up TeAda; all work that focus on refugee and immigrant communities. As a teaching artist, he recently completed a residency creating performances with Southeast Asian youth in the LA Chinatown neighborhood. Ova was one of six playwrights selected to write for Our American Voice a part of the Smithsonian Institutes exhibit I Want the Wide American Earth at the Japanese American National Museum exploring Asian American immigration. Additionally, he has worked with nationally known companies: The Children’s Theater Company in Minneapolis on the production of Dragonwings and Center Theater Group’s production of Wondrous Tales of Old Japan and East West Players production Twelf Nite O’Wateva. He has toured colleges and universities with the Asian American Theater troupe hereandnow. Film credits include Disney’s Pirates of the Caribbean:World’s End, Love is Good, Burmese Refugee and Seeds of Hope. Photo is attached. Photo credit Simeon Den. 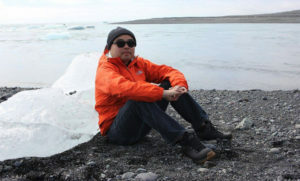 Soul Vang is the author of To Live Here, winner of the 2014 Imaginary Friend Press Poetry Prize, and coeditor of How Do I Begin? : A Hmong American Literary Anthology (Heyday, 2011). Born in Laos and came to the United States as a refugee child, Soul is a poet, teacher, and U.S. Army veteran. 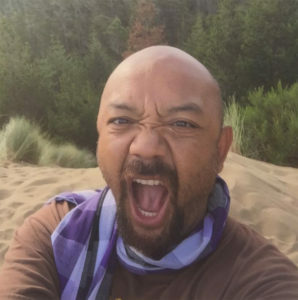 He received his Master of Fine Arts in Creative Writing from California State University, Fresno, and he is a member of the Hmong American Writers’ Circle (HAWC). Soul’s writing has appeared in Abernathy Magazine, Asian American Literary Review, Fiction Attic Press, In the Grove, The Packinghouse Review, Southeast Asia Globe, and The New York Times, among others. Find more information about Soul at soulvang.net. 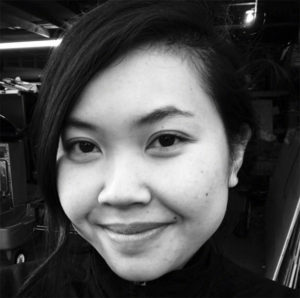 Sayon Syprasoeuth is a visual artist, Curator, multi-media design artist and an instructor. 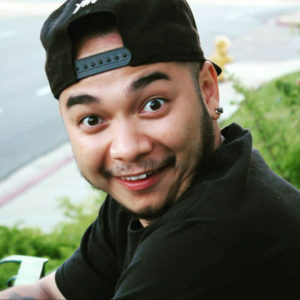 He currently works at United Cambodian Community as a Program Coordinator for Living Arts Long Beach, teaching students about career options in the arts through lectures, guest artist visits and by creating and making art. He volunteers ASCRIC, devoted to restoring, distributing, and implementing procedural justice for Cambodian American victims and survivors of the Khmer Gouge. 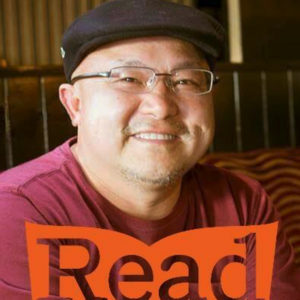 His work recently was in: Asian American Literary Review, Long Beach Post, Boom Journal magazine.